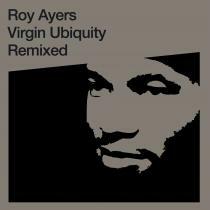 Underground Classics features timeless productions and remixes both unknown and unforgettable from the Chocolate Boy Wonder !!! 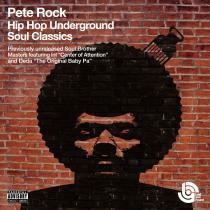 Steeped in hip-hop history with the discography to prove it, Pete Rock is the hip-hop producer’s producer. First coming to prominence as a DJ on Marley Marl’s In Control radio show on New York’s WBLS in the late eighties, Pete’s first record deal was with C.L. Smooth at Elektra. Their debut EP All Souled Out (1991) and LP Mecca And The Soul Brother (1992) were instant classics, ushering Pete’s reputation as a beatmaker into the highest echelons alongside the likes of DJ Premier, Large Professor and Q-Tip. Between then and he and C.L.’s second album, The Main Ingredient (1994), the Pete Rock remix became a hot commodity. He added his trademark soulful sound to records by the likes of Jeru The Damaja (‘You Can’t Stop The Prophet’), Notorious B.I.G. (‘Juicy’), Public Enemy (‘Shut ‘Em Down’) and House Of Pain (‘Jump Around’), and produced standout tracks on albums by Nas (‘The World Is Yours’) and Run DMC (‘Down With The King’) amongst many others. 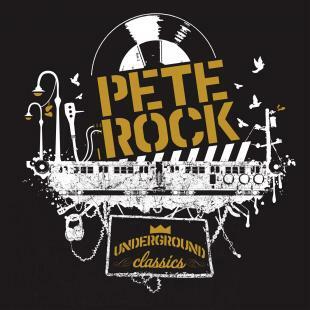 Towards the end of the nineties, after his critically acclaimed solo debut Soul Survivor (Loud, 1998), hip-hop’s increasingly commercial slant meant there was more of an outlet for purist producers like Pete Rock on independent labels. Most of the tracks compiled on Underground Classics are just that: great yet overlooked material that was either shelved prior to its intended release or unfairly neglected. ‘Give It To Y’All’, a dramatic string - laden affair with The UN, is taken from the sessions of his PeteStrumentals album (BBE, 2001); The UN’s ‘Game Of Death’ is an eBay favourite, the limited quantity of the 12 inch causing collectors to shell out ten times its original price. ‘Aint No Thang’ is lifted from The UN’s album UN Or U Out (World, 2004), not an easy find anymore either.